On the 4th of March 2016 the “medien-trainer” network invited the media industry to Leipzig. The motto this year was “successful and digital”. Current trends and developments in the media world where discussed by experts and in particular trimedial work, which is strategic thinking, working and publishing for radio, tv and the web was a major topic this year. 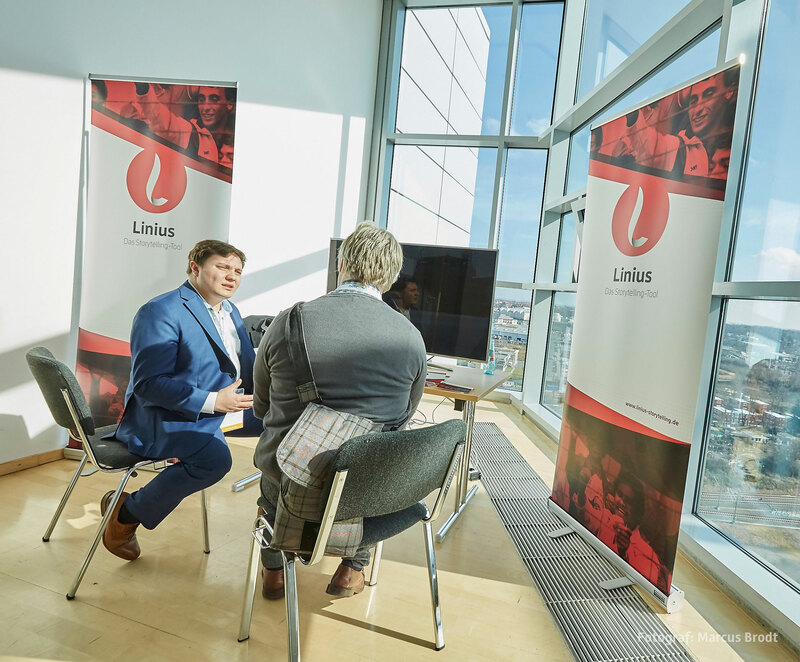 Because Linius fits perfectly into these processes we were very happy to present Linius to media-makers and to show the possibilities of modern storytelling. Read more about the 4th Crossmedia Day on our mc-quadrat blog.